“The Second S&L Crisis” also includes insight into the culture of excess and irresponsibility that ran rampant at IndyMac and Washington Mutual (WaMu) during the housing bubble. But even more eye-opening is its account of the role that the Office of Thrift Supervision (OTS) played in the collapse of these two institutions. CRL’s conclusion? 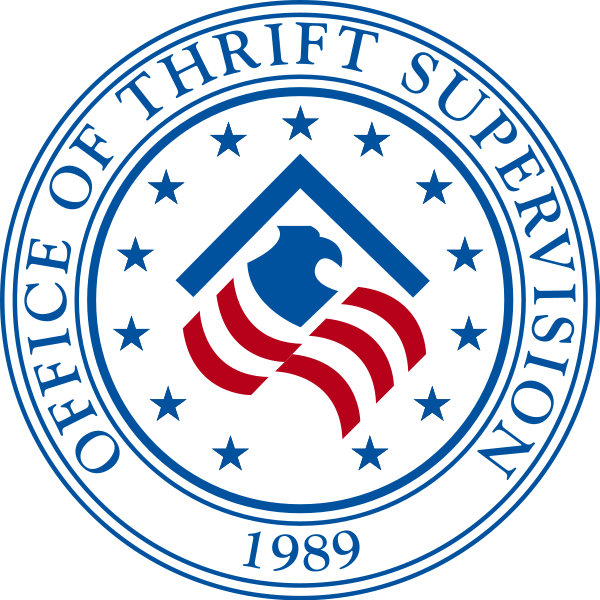 That, unequivocally, “OTS failed in its responsibility to ensure the safety and soundness of thrifts and to protect consumers from abusive practices” (p. 1). Among CRL’s findings, some of the most shocking are that OTS actually obscured the seriousness of thrifts’ financial problems, going so far as to allow banks to falsify financial results to mask poor performance (p. 1, 6, 10). In IndyMac’s case, despite the fact that several prominent measures of the bank’s financial health showed significant signs of trouble as of June 30, 2007, OTS failed to place IndyMac onto the FDIC’s list of troubled institutions until June 2008, just one month before the bank’s July failure! The report also cites a probe by the Treasury Department’s Inspector General that found that, “just two months before IndyMac’s collapse, [an] OTS official gave the thrift permission to falsify its financial statements, a move that allowed it to avoid increased regulatory oversight” (p. 6). In WaMu’s case, the “reckless disregard” of OTS was even more egregious. WaMu was not placed on the federal government’s list of troubled banks until one week before the bank’s failure (p. 10)! This was despite the FDIC’s efforts in August 2008 to downgrade WaMu’s supervisory rating–a preliminary step clearing the way for WaMu to be placed on the list of problem banks–to which OTS responded that WaMu was stable and that OTS was working to correct the problem (p. 10). CRL’s findings have since been largely corroborated by an Audit Report regarding IndyMac from the Office of the Inspector General at the Department of Treasury, released February 26, 2009, that was generally critical of OTS oversight of the thrift. The Report found that OTS did not take aggressive action to curb irresponsible lending practices despite many warning signs, and it alludes to the curious fact that IndyMac was not placed on the FDIC problem list until June 2008. In fact, the Report states, OTS should have taken enforcement action against IndyMac as early as 2005! The Inspector General’s Audit Report generally recommends only that OTS senior leadership “reflect carefully on the supervision that was exercised over IndyMac and ensure that the correct lessons are taken away from this failure” (p. 34). CRL’s Report goes much further, recommending that OTS be eliminated entirely and its role subsumed under the Office of the Comptroller of the Currency (OCC). CRL also recommends that “[m]arket incentives be aligned to ensure that no party can shirk responsibility for making responsible lending and investment decisions” (p. 23). The Report suggests that this be done by creating assignee liability–that is, by allowing borrowers to go after the trust holding their mortgages in a pool for the benefit of bondholders–when loan transactions are alleged to be illegal, abusive or harmful. While I completely agree that the re-alignment of incentives would go a long way toward preventing irresponsible lending by those with no skin in the game (see my prior post on market incentives), I don’t necessarily agree that assignee liability makes the most sense. In fact, it is the loan originators and the sellers and sponsors of residential mortgage backed securities (RMBS) who are in the best position to know the facts and circumstances underlying any particular mortgage and the best position to prevent irresponsible lending (see my prior post on misguided protesters directing their anger at Bill Frey and Greenwich Financial’s lawsuit against Countrywide). However, it was these very parties who had nothing to lose by churning out as many loans as possible, because they could turn around and sell them to voracious investors, generating huge fees and passing off most of the risk of default. RMBS investors, and the trusts that represent them, already have every incentive to police these loans for unsound lending practices, because the quality of the loans directly impacts the loans’ default rate and thus the investors’ return on investment. Why they didn’t do so during the housing bubble is an open question, but lack of transparency, investors’ own greed and outright misrepresentations made by originators, sellers and sponsors certainly contributed. When I raised this issue with Michael Hudson, author of The Second S&L Scandal, he made a number of fair points. First, he noted that, “[a] big part of this [is] that many thinly capitalized brokers and lenders can go out of business or file [for] bankruptcy (and reemerge under some other guise) when there’s an allegation of bad origination practices.” Therefore, it made more sense to go after the big players who purchased the loans and would stick around to face the music. Second, he pointed out that determining whether loans were being done right was not difficult, but that, “big players who were aggregating and bundling loans purposefully turned a blind eye to evidence that fraud and predatory lending was commonplace” (something I’ve seen repeatedly in my work in the subprime industry).
) from securitizations and the clout to change the way that loans are made. If securitizations going forward are structured such that the seller and sponsor bears the first loss or can be readily held liable if the loans in the pool are determined to be defective, I think we’ll see abusive lending and delinquency rates decrease across the board. Just ask Bill Frey, whose firm, Greenwich Financial Services, helped to structure one of the first mortgage backed securitizations in Russia in 2006 (see press release here). He told me that he structured these deals so that the lender/servicer took the first loss, the investment bank took the second loss, and only then did the bondholders take any loss on their investment. It just so happens that with this moral hazard problem removed, these deals are performing far better than comparable deals in the United States. All of which reinforces the notion, echoed by Hudson in the CRL Report, that by re-aligning incentives, securitizations can still work as an effective vehicle for spreading risk without incentivizing irresponsible lending. This entry was posted in causes of the crisis, Center for Responsible Lending, Greenwich Financial Services, incentives, IndyMac, irresponsible lending, OTS, oversight, Russian MBS, sellers and sponsors, WaMu, William Frey. Bookmark the permalink.